The Gamma Live Wire XP 1.27mm tennis string set is 12.2m (40ft) long and ensures gut-like playability. It features Zyex monofilaments added to the outerwrap for enhanced durability and reduced tension loss. The string set has a gauge of 17 (1.27mm) and utilises Multiwrap Live Wire monofibres, as well as a Pearl Coating. The Live Wire XP incorporates the X-tra Performance technology and the Live Wire Technology delivering a great combination of power and control. for submitting product information about Gamma Live Wire XP 1.27mm Tennis String Set We aim to answer all questions within 2-3 days. 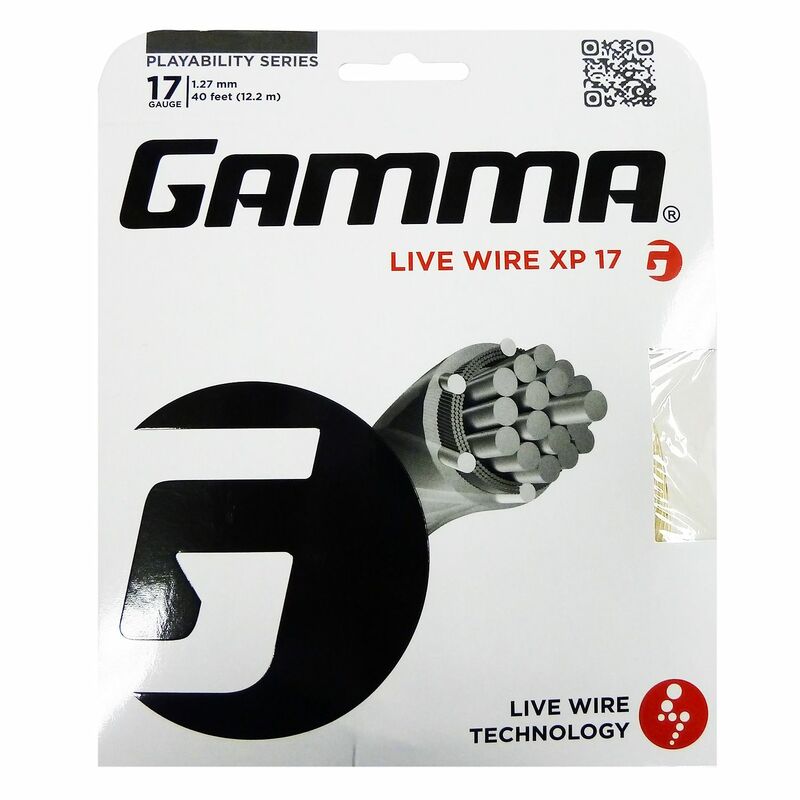 for submitting product information about Gamma Live Wire XP 1.27mm Tennis String Set. We aim to answer all questions within 2-3 days. If you provided your name and email address, we will email you as soon as the answer is published. for submitting product review about Gamma Live Wire XP 1.27mm Tennis String Set.